When Patch 9.7 hit League servers, we fretted some over whether the meta was shifting back to tanks. Sure Rumble was given a really nice ultimate buff, but tanks like Dr. Mundo and Cho’Gath were also given priority. Cho’Gath was already borderline strong in professional play, and we really didn’t want to see more of the old dinosaur on the Rift. With Patch 9.8, Riot is trying to rectify that some with a series of buffs to more aggressive top laners. After seeing champions like Jax, Riven, and Urgot run the meta for most of the year, it’s about time for some other bruisers to show up. Those that main the likes of Fiora, Renekton, and Singed are going to be real happy with this patch. The buffs to Renekton are simple stat buffs. He’s getting more armor and attack speed growth. But the big one is on his Q: his empowered Q will heal for 33 percent more at rank one, scaling up even higher at max rank. That is a massive buff for one of his primary trading tools. And it will matter, especially late game, because the healing debuff to Bramble Vets and Thornmail has been increased to three seconds, similar to Executioner’s Calling. Fiora’s buff is somewhat more strategic. The stun on her W, Riposte, will be a bit longer when she lands it correctly. It will also do more damage. Her E will cost less mana at higher ranks, though that only becomes a factor later into lane phase. Speaking of stuns, Nautilus is getting a buff to his passive root at early ranks. It’s not much though, and the damage buff to his Q is almost entirely inconsequential. Same goes for some Singed buffs that boost his healing, W root duration, and E mana cost. Those are mainly to help him with HP and mana issues because of the dark seal nerfs a patch ago. Finally, Camille is getting some more attack speed, it might not be necessary. 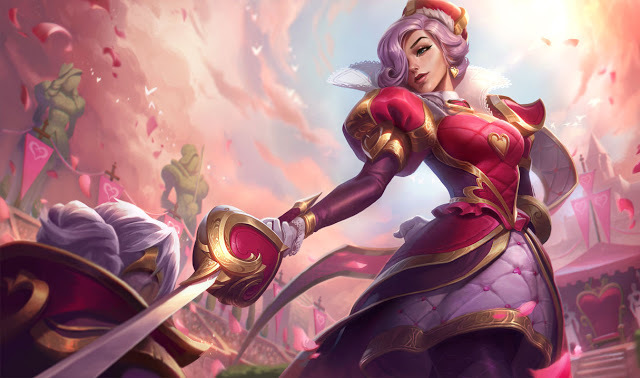 Her win rate is okay in the top lane, but fewer people play her than before mainly because she was just more fun as a jungler. It’s dismaying that Riot decided to nerf jungle Camille and pigeonhole her a top laner. But maybe we’ll see more of her with that boost to attack speed.